Optional: If you would like to include salmon, loosely wrap your salmon steak in foil and bake at 175° in preheated oven for about 20 minutes, then set aside. 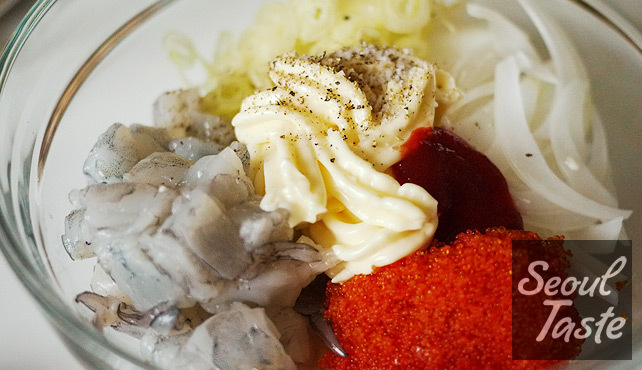 In a medium bowl, mix together chopped shrimp, flying fish roe, onions, green onions, mayonnaise, chili sauce, salt and pepper. Set aside. Preheat oven to 160˚C. 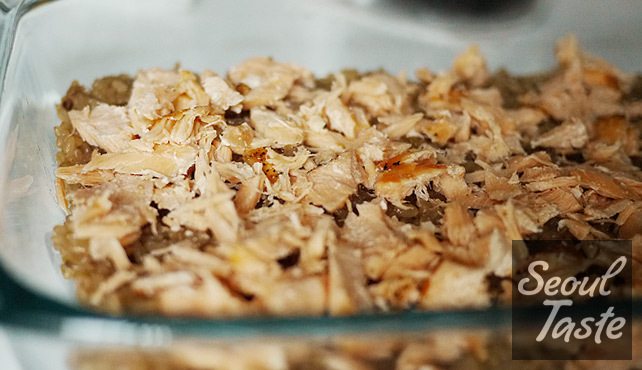 In a 7 inch by 9 inch casserole dish, layer cooked rice, then the (optional) salmon, shredded. 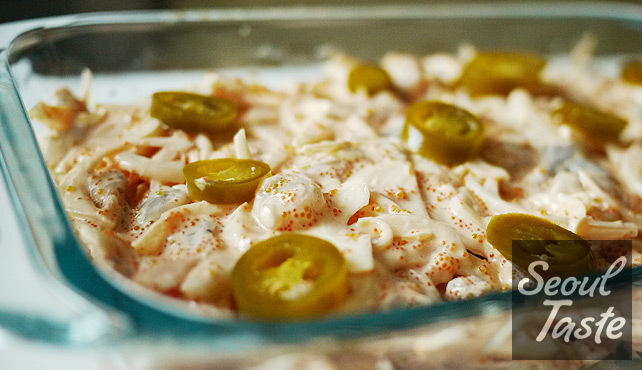 Layer with seafood and mayo mixture and place jalapeño peppers on top. 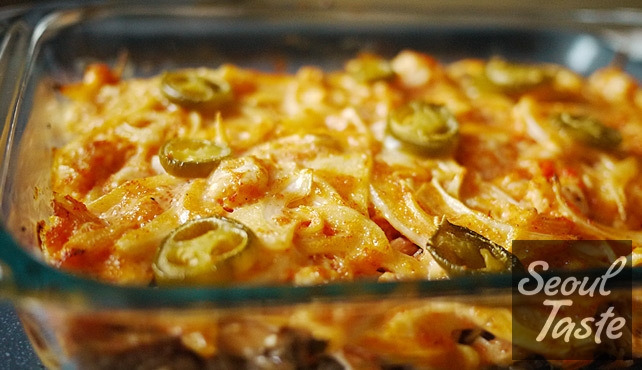 Bake in preheated oven for 15-20 minutes and serve. 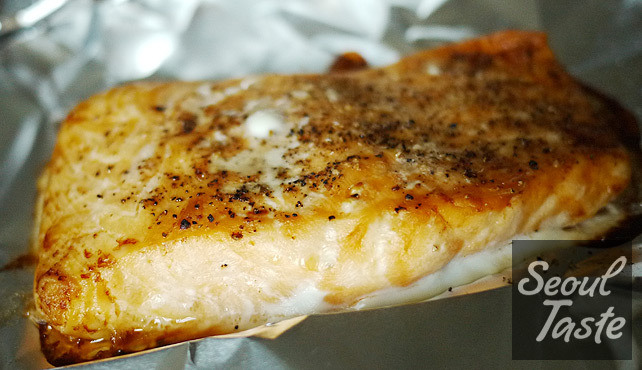 You can make this without the salmon, it will still be good!